The goal at A Noteworthy Music Studio is to create an experience so fun, they’ll be begging to stay. Our passion is getting mini musicians super excited about music while learning songs they know, seeing quick progress, and gaining CONFIDENCE! We live to cultivate students who love music and love lessons. We offer a 100% satisfaction guarantee. 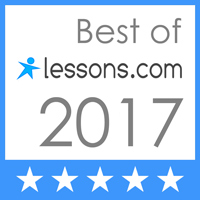 If you are not 100% satisfied with your lesson experience, will refund your purchase. Refunds will be processed back to the card with which the original purchase was made. Gift certificates must be used within six (6) months of the purchase date. No refunds will be issued for certificates not used within that time frame. Usage of a gift certificate is determined by the student registering for their first lesson. Gather up your creative kid, and get them jazzed about making music. We’ll help your mini musician gain essential skills while tapping their potential during innovative private lessons that focus on achieving accelerated success. Return and Refund Policy:We offer a 100% satisfaction guarantee. If you are not 100% satisfied with your lesson experience, will refund your purchase. Refunds will be processed back to the card with which the original purchase was made.Our policy lasts 30 days. If 30 days have gone by since your purchase, unfortunately we can’t offer you a refund.Gift certificates must be used within six (6) months of the purchase date. No refunds will be issued for certificates not used within that time frame. Usage of a gift certificate is determined by the student registering for their first lesson. Why 2019 is a great year for making music! When Should You Start Piano Lessons?